I am often asked about my training and what is the best process to follow in order to enter the floristry industry. Sussex floristry college vs sussex flower courses. This is my background training story and what I often advice people. I started my training by signing up to a six week evening floristry starter course. Here I developed a real interest in floristry and decided to quit my full time job and I signed up to a two year college course at Plumpton college. This was two days a week, where I needed to provide my own flowers and juggle training around my part time job. Plumpton College gave me a great foundation in the basics of floristry. When I did the course I was in my early twenties and had no other commitments. If I was trying to get into the industry today, it would be a different story. I have three children under the age of seven. I couldn't commit to two days for two years, I might however be able to commit to an evening course or build up my own programme with a school, selecting dates that suited me and choosing classes that I wanted to specialise in. I then went onto train at some of the worlds leading flower schools, including McQueens, Jane Packer and Tuilpina Design. All of these schools heavily influenced my own style and that is something I have bought to my own school. 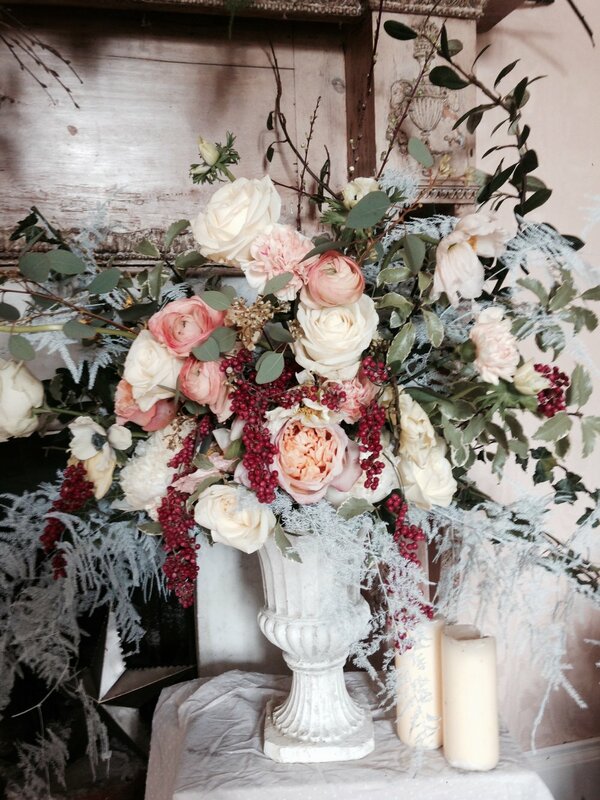 Flourish Sussex Flower School is a fusion of styles and creativity. As well as covering the basics, we offer artistic classes that teacher free foam displays, as well as event decorating and styling. 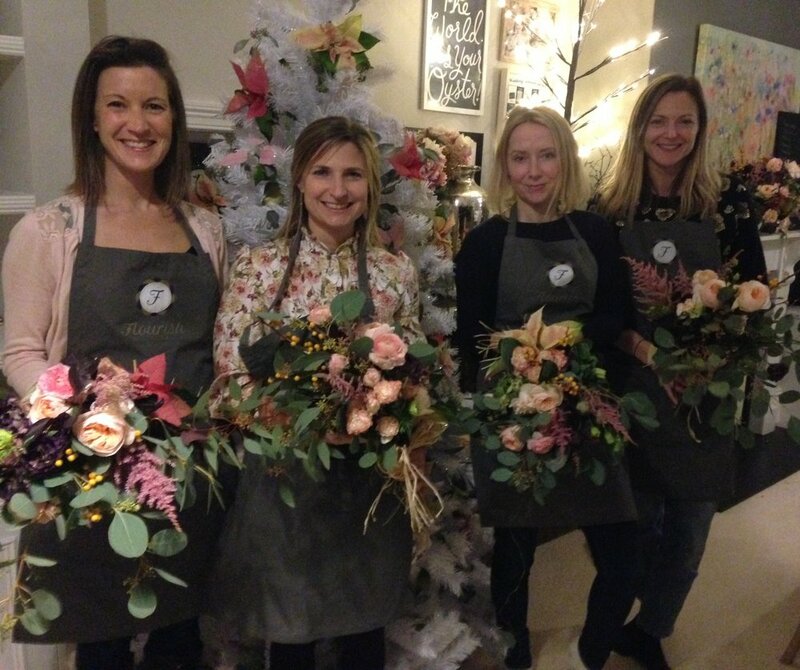 Flourish offers floristry courses in Sussex to flower enthusiasts. I wanted a school that offered floristry training in Sussex but also offered floristry classes for anyone that simply loves flowers. Our career courses have been designed to fit around peoples schedules, buy offering intensive weeks and evening classes. With our workshops we have also put on a number of fun, informal and affordable floristry classes, where people can come and enjoy flowers. That for me is really at the heart of the school. I want to share my love of flowers with others and I hope I can inspire people to keep coming back., as floristry training is on going. It's important to develop your style, learn new techniques and continue to be inspired. Why not sign up to a class today at Flourish Sussex Flower School. Newer PostStepping into Spring with Competition Time at Flourish!